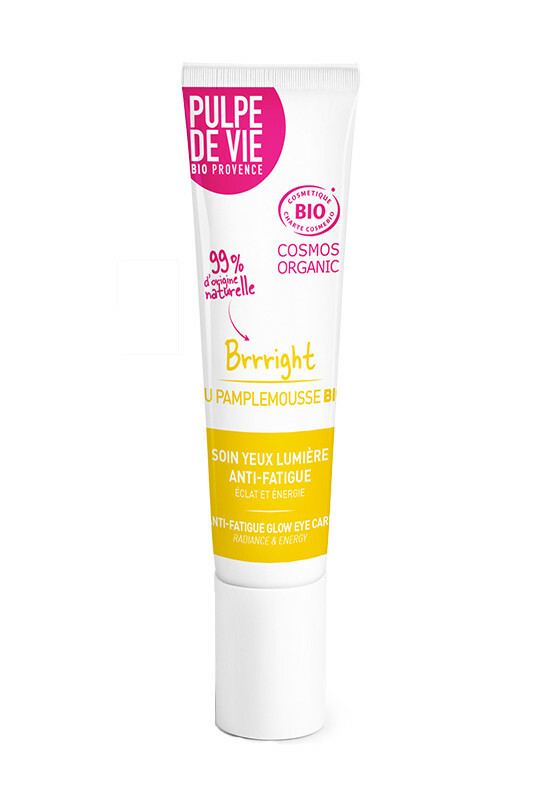 The anti-fatigue glow eye care Brrright from Pulpe de vie removes signs of fatigue from your eyes while moisturizing. 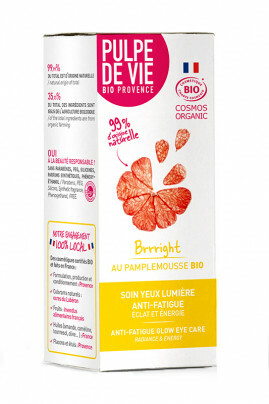 Formulated with organic grapefruit, this eye contour naturally illuminates your eyes and gives it back its radiance. Rich in organic cucumber, this natural care soothes and regenerates the contour of the eye. Thanks to the decongesting and toning virtues of caffeine, this organic cream activates the cutaneous microcirculation and offers a smoother appearance to your skin. Say goodbye to your fine lines and puffiness with this eye contour treatment Pulpe de vie ! A real ally for tired eyes ! Ce soin contour des yeux sent bon et hydrate correctement. Les petites particules brillantes ne se voient quasiment pas. Bon produit. Apply a hazelnut of this organic Brrright skincare to the eye contour, in the morning on cleansed skin. For enhanced action, you can apply it in a thick layer at bedtime. He will act as a night mask. To you, the fresh look as soon as you wake up! A natural formula for this glow eye care Pulpe de vie !